Banks is one of the most intriguing, exciting singers I've come across in a long time. Like a musical Darth Vader, she deals in the dark side of R&B - releasing a clutch of aching, bruised EPs that have barely left my turntable (iPod dock) since they appeared in the middle of last year. In preparation for her UK tour next week, the LA-born singer has released a new video, for Brain. 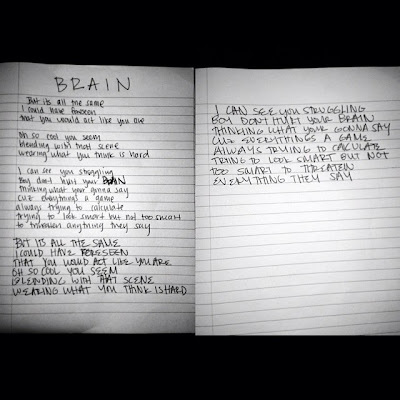 According to a press release: "Brain presents Banks at her most unflinchingly direct and emotionally raw. Introducing itself as a deceptively tranquil electronic lullaby, it emerges into a towering vocal tour-de-force, showcasing with goosebumps-inducing intensity the hypnotic power and penetrating lyricism at the heart of BANKS' music." In other words, the song starts quiet then it goes all shouty. It is, of course, superb. 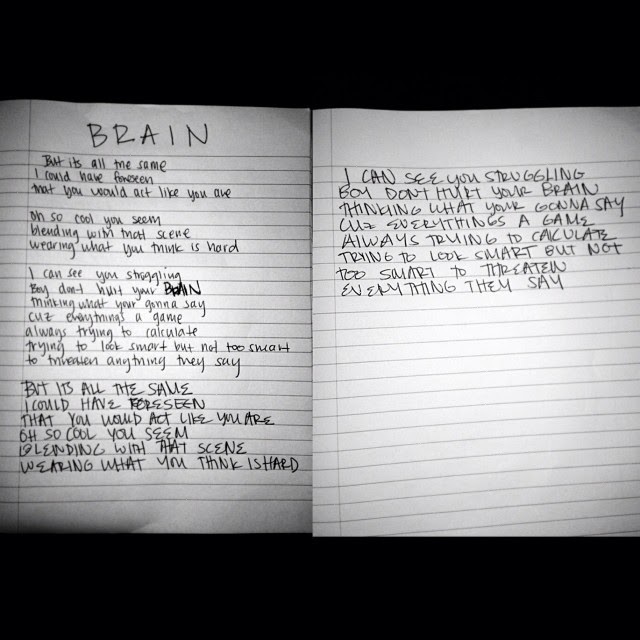 If you want to sing/shout along, Banks has handily posted the lyrics on her Instagram account. She has very neat handwriting, don't you think?